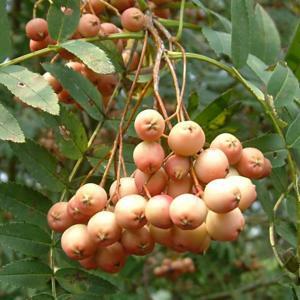 Attractive small tree, often multi-stemmed, or may grow as a shrub. 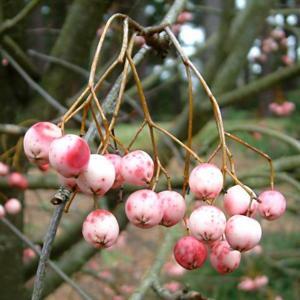 This form has large, long lasting, pink berries in late summer and autumn, remaining long after the leaves have dropped. Pinnate foliage and pink-tinged white flowers in spring. From seed. Apomictic, coming true from seed. Good tree for towns and city gardens. Will tolerate some atmospheric pollution.